Originally self-published in 1952 by E. George Schaefer as a marketing piece to his new customers that were 4-week trial subscribers to his “Dow Theory Trader” letter. 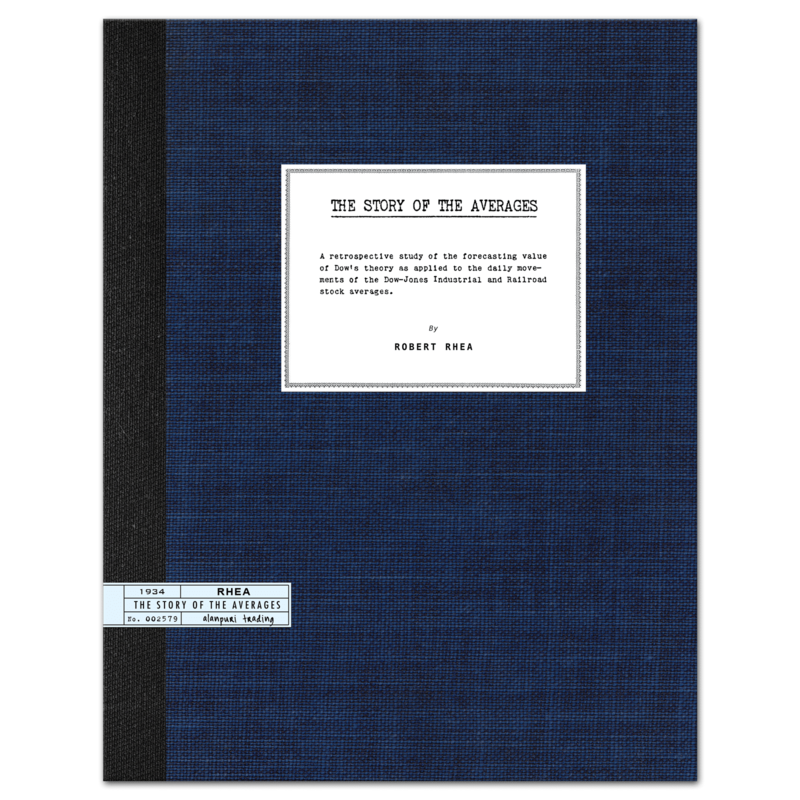 Contents: description from Schaefer’s Foreword, “The road to profits in the stock market is not difficult to follow when you have a dependable guide – a guide to help you employ correct trading tactics at the right time for greater profits. This “Trading Tactics” booklet is going to introduce you to the most reliable guide in the stock investment business. The Dow Theory. A better Dow theory – one that has been improved through technical research. You will read how this improved Dow Theory has been used to capture great profits in this market. For over fifty years, the Dow Theory has served as a dependable guide to investors. It has shown countless numbers when to buy near the bottom – when to hold – and when to sell out near the top. This booklet discusses Dow theory procedure – shows how great profits were built up in two model accounts – and the reasons behind the investment procedure followed to accomplish these profits. Four “Dow Theory Trader” letters, in which we told our readers to “buy” just before large advances occurred, are given in this booklet in their entirety. For example, the June 18, 1949 issue (written four days after the 161.60 low), the July 15, 1950, issue (written two days after the Korean War reaction made it’s low), the December 9, 1950, letter (written at a time when stocks were being sold in response to the Chinese Communist war), and our June 29, 1951, letter, are all enclosed, and serve to show how this new technical research and the Dow theory were bullish, and highly profitable to investors in all of those instances. Great advances in the market followed in each of these cases. A sample of our two model accounts, showing profits garnered by these methods, is also enclosed. A number of technical supplements to our regular weekly letter have also been included in this booklet. These were selected from past weekly bulletins because the writer felt that they were valuable to beginners who want to learn how technical factors are correlated with the Dow theory. They show how we have improved timing under the Dow theory by new methods. Some of these are the 200-Day Investment Line, Dow’s 50% Concept, Odd-Lot Index, Three-Phase Studies, Short Interest-Volume Ratio, and our Consensus Opinion Chart. 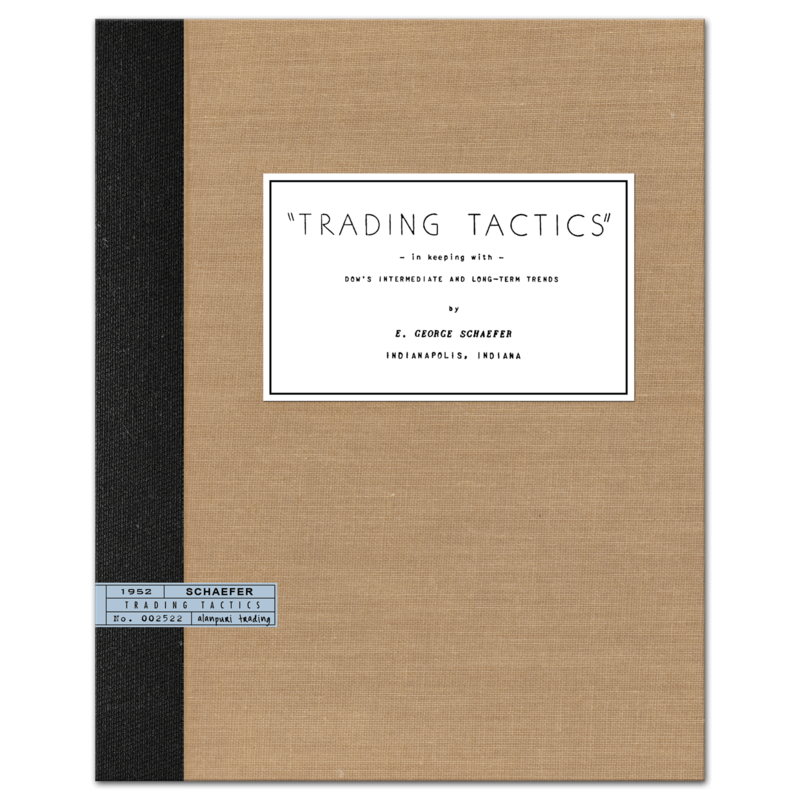 This “Trading Tactics” booklet was written primarily to show our many new readers who the Dow theory is applied for profit. Thousands of investors are using the method outlined – they have been tested, and have been proven of great value. The writer sincerely hopes that you, as a 4-week trial subscriber, will benefit from the principles, procedure, and trading tactics discussed. – signed, E. George Schaefer” — end. 65 pp.